We have done a hard work the whole team of ArtValencia to make this vip event in Valencia, as each of us have, an unforgettable experience for each and every one of the attendees to it. 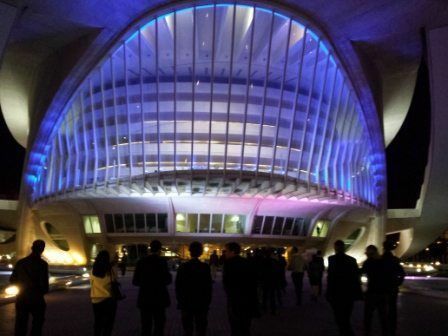 Being a group from different parts of the world, we have tried to bring together the best of our culture so that they could get an idea of what Valencia is like. 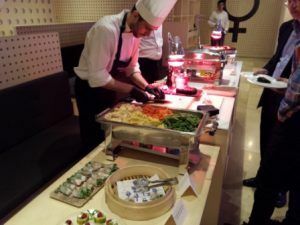 The first day we were able to enjoy a spectacular buffet at Ricard Camarena’s Habitual restaurant (1 Estrella Michelin) located in one of the most beautiful places in Valencia, the Colón Market. A privileged environment for a level event like this. The welcome cocktail surprised everyone in a unique environment located on the mezzanine of the Colón Market. The space they call “La Cambra” was the ideal place to welcome the most emblematic modernist building in the city. The next day we were expecting a different visit to the Oceanográfico of Valencia, the largest water park in Europe. 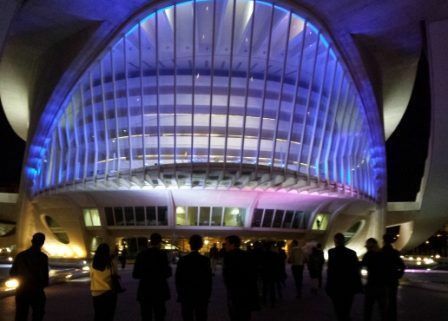 An original, surprising and fun visit to the City of Arts and Sciences that you won’t forget for sure. We were able to see the intricacies of the park, go through its interior, what no one can see. 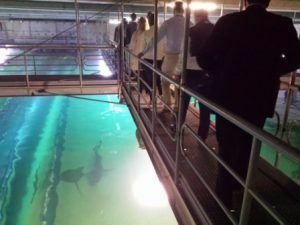 The adrenaline was rising as we walked along the hanging footbridge over the water of the shark aquarium, and the explanations given by the guides made us learn more about the habitat and the different animal species we saw. 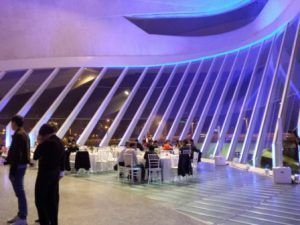 At the end, a catering buffet was waiting for us in an incomparable setting such as the main lobby of the Palau de les Arts Reina Sofía. We close the programme on the last day with an interesting paella workshop in El Palmar, the place of origin of our best-known dish, next to the Albufera Natural Park and lake. 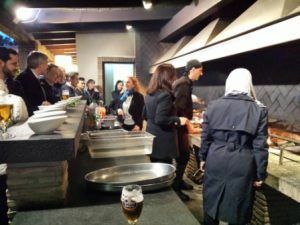 The participants had a great time learning how to cook paella and what are the most important tricks and points to get it out of ten and that only Valencians know. 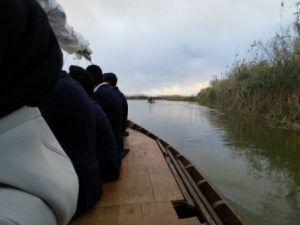 All our guided tours for this group were tailor-made and took into account all the needs of the group. 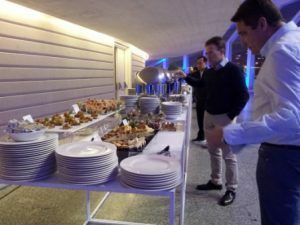 Not only did we put all our effort and will but we also put all our heart and our desire in this VIP event in Valencia.